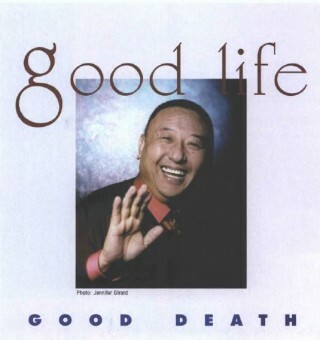 Moving around the US to promote his new book, Good Life, Good Death, late last year, Nawang Gehlek Rimpoche took the opportunity to articulate the challenge that many of us feel: how not to let anger devolve into hatred when terrorists strike. Gehlek, educated by the same masters who taught the Dalai Lama, is believed to be one of the last living reincarnated lamas to be fully educated in Tibet, which he fled in 1959. He became an American citizen in 1995 and lives in Manhattan and in Ann Arbor, Michigan, where he teaches Tibetan history at the University of Michigan. He founded the Jewel Heart centers in US, Europe and Asia. As an American citizen since 1995, he watched events in New York and Washington on TV with the same horror as millions of other people. The images stayed with him for months, even as he meditated. “I was trying to deny my anger. That night it was reported that there was an explosion in Kabul and I found myself saying, ’Oh good, quick reaction.’ Because of my background I was fortunate enough to also think ‘don’t hurt innocent people’ but my first reaction came from anger. I knew if I didn’t work with my anger, it would give me trouble. Between my experience of being kicked out of Tibet in 1959 and now there was no gap. I was experiencing a double dosage. My anger was embarrassing for me, because here I was, an incarnate lama of Tibet, and I had been in this love and compassion business for 60-plus years of my life. As if that wasn’t enough, here was my book coming out about anger and how to deal with it and make it better. I needed to process.